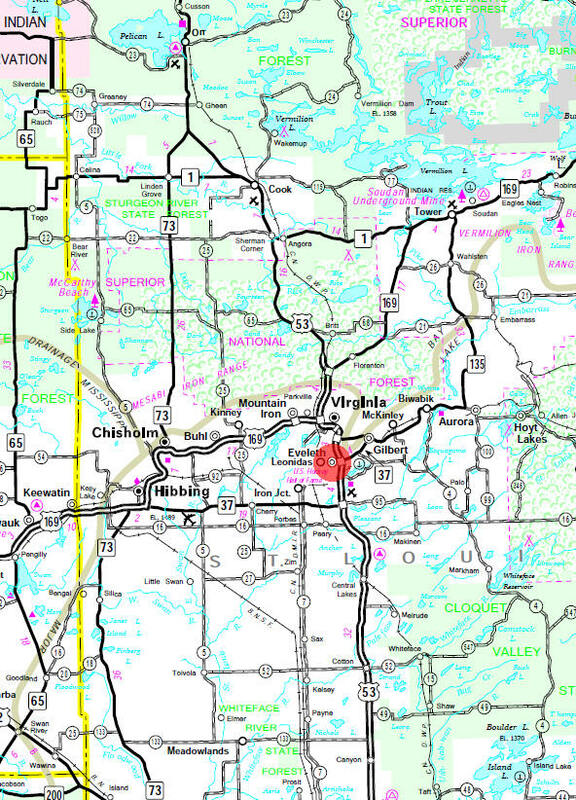 Eveleth is located on the Mesabi Range, one of sub-regions within Minnesota's Iron Range. The town's economy has always been tied to the iron ore mining and processing which occurs in the area. This economic activity peaked during World War II, and has been in decline ever since. Mining and processing activity still occurs in the area, although at a fraction of capacity. The United States Hockey Hall of Fame is located here (not to be confused with the Hockey Hall of Fame, in Toronto). 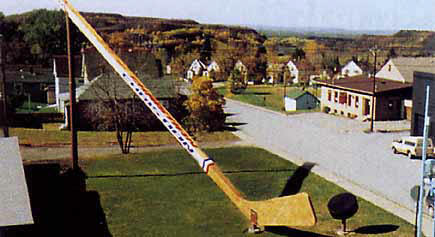 Eveleth also lays claim to the world's largest hockey stick, which, at 170 feet, is shorter than the 205-foot hockey stick in Duncan, BC, Canada. Eveleth is a city in St. Louis County, Minnesota. U.S. Highway 53 and State Highway 37 are two of the main arterial routes in the city. 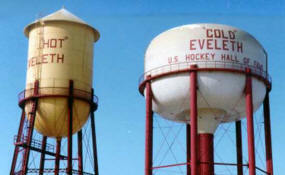 Eveleth is part of the Quad Cities of Virginia, Gilbert, and Mountain Iron. 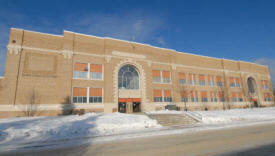 Eveleth is located on the Mesabi Range, one of sub-regions within Minnesota's Iron Range. According to the United States Census Bureau, the city has a total area of 6.45 square miles (16.71 km²), of which, 6.29 square miles (16.29 km²) of it is land and 0.16 square miles (0.41 km²) of it (2.47%) is water. The elevation is 1,591 feet above sea level. As of the census of 2010, there were 3,718 people, 1,682 households, and 921 families residing in the city. The population density was 591.1 inhabitants per square mile (228.2 /km2). There were 1,942 housing units at an average density of 308.7 per square mile (119.2 /km2). The racial makeup of the city was 95.0% White, 0.5% African American, 1.8% Native American, 0.3% Asian, 0.1% from other races, and 2.2% from two or more races. Hispanic or Latino of any race were 0.9% of the population. There were 1,682 households of which 28.5% had children under the age of 18 living with them, 36.0% were married couples living together, 13.1% had a female householder with no husband present, 5.6% had a male householder with no wife present, and 45.2% were non-families. 38.9% of all households were made up of individuals and 13.2% had someone living alone who was 65 years of age or older. The average household size was 2.14 and the average family size was 2.83. The median age in the city was 39.6 years. 22.8% of residents were under the age of 18; 8.2% were between the ages of 18 and 24; 25.5% were from 25 to 44; 27.3% were from 45 to 64; and 16.1% were 65 years of age or older. The gender makeup of the city was 48.7% male and 51.3% female. 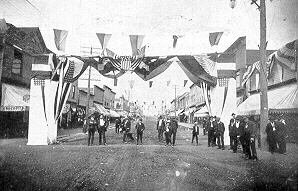 The Village of Eveleth was platted on April 22, 1893, and founded in 1894, located approximately 1 mile (1.6 km) southwest of the present location, on land then included in the Adams-Spruce Mine (Douglas Avenue between Hones and Monroe Streets). The community was named after Erwin Eveleth, a prominent employee of a timber company in the area. In 1895, iron ore was discovered beneath the village site and a post office was established. In 1900, the village was moved to its present location. 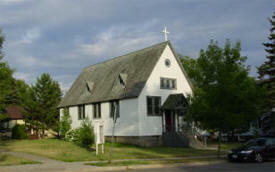 The village was incorporated as City of Eveleth in 1913. When the city expanded, it annexed portions of Fayal Township, including the former unincorporated communities of Alice Mine Station (in the Alice Location south of downtown) and Fayal. 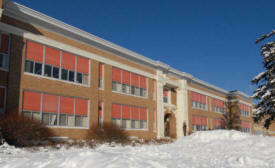 With further expansion, the Eveleth annexed the unincorporated community of Genoa to its east. Eveleth, a city on the Mesabi Range, in section 32 of Missabe Mountain Township, founded in 1894 but mostly removed about one mile in 1900, and incorporated in 1913, was given this name for Erwin Eveleth, former postmaster and mayor of Corunna, Michigan, who died in 1922. 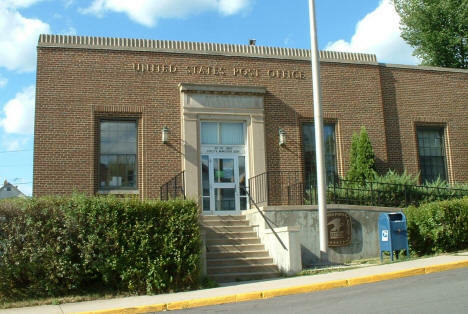 The post office was established in 1895. Races, games, a parade, a street dance and fireworks highlight this Eveleth tradition. Utilizing the identical process that is used to build standard size hockey sticks right down to the “pro 1000” logo and “slap sock,” Christian Brothers built the 110 foot Stick of white and yellow aspen with a finishing weight of 7,000 ponds. The shaft was 15 inches thick by 22 inches wide by 17 feet long. The Stick was admitted to the World Book of Records in November, 1995. The United States Hockey Hall of Fame Museum is a perfect vacation stop for the whole family. 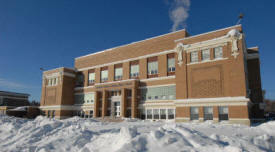 Eveleth, Minnesota is a getaway to the great Northern Minnesota wilderness area. 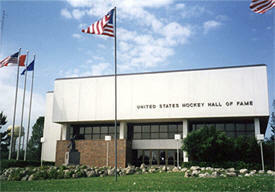 Come and visit the Hall, “Our National Shrine of American Hockey”. Visit our Gift Shop, try your skills on the replica rink, see the #4 Zamboni, watch the 1980 Olympic Team as they take home the Gold! The Leonidas Overlook, with its spectacular 360º panoramic view of current taconite operations and area mines is the highest point on the Mesabi Range. This view is breathtaking! The Leonidas Overlook is named after the Leonidas Mine, which is named after Leonidas Merritt, one of the seven brothers who discovered iron on the Mesabi Range and opened the Range to commercial development. 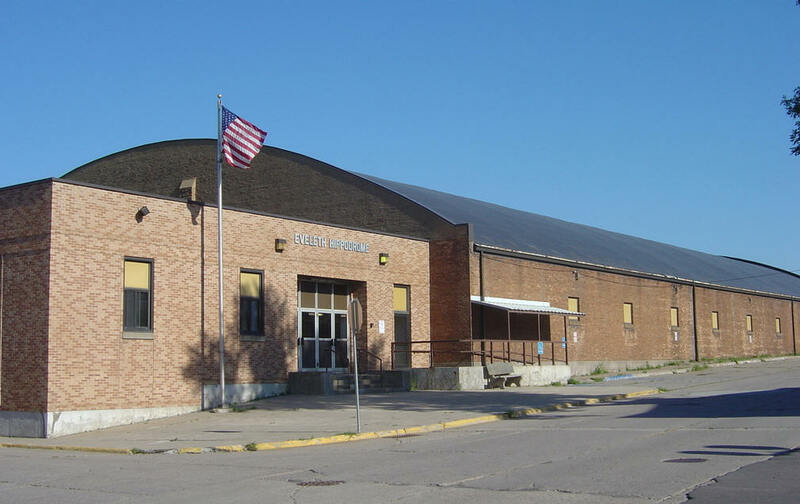 Curl Mesabi started as a joint venture between the State of Minnesota, the Iron Range Resources and Rehabilitation Board, the City of Eveleth, the City of Mountain Iron, the City of Gilbert, the City of Virginia and the Eveleth, Gilbert and Virginia Curling Clubs. All three clubs are now combined into one organization, known as Curl Mesabi. enjoyed by seasoned golfers and beginners alike. Monroe Park is located on Monroe Street, one block West of the Big Stick (seen here in the upper middle of the photo), an ideal location for taking the children for a picnic or to play after visiting the Big Stick and the Chamber of Commerce. Monroe Park also has a baseball diamond and is the location of children's events during Eveleth's 4th of July festivities. 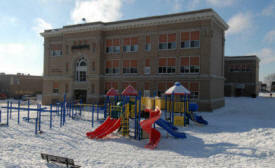 Northside Park is located on Eveleth's Northside, bordered by Grant Avenue, Adams Avenue, and Shackelton Avenue. It is Eveleth's largest park with a stream running through it and several stately pines providing shade in the Summer and making interesting white statues in the Winter. There are also several large open areas for team games and a baseball diamond for sporting events. Given the size of Northside Park, this would be an ideal location for a family picnic or for the children to play hide-and-seek or tag. KRBT 1340 AM, Range’s Best Talk, is the Iron Range’s answer to the missing piece of the puzzle. KRBT reaches that audience that doesn’t listen to music. Broadcasting twenty four hours a day seven days a week, KRBT provides the most efficient use for AM radio. WEVE FM is the twenty four hour a day radio leader in the Iron Range region of Northern St. Louis County, Minnesota. Broadcasting around the clock, seven days a week, WEVE FM stereo 97.9 provides the most dominant FM stereo signal at 71,000 watts. Established in 1952. Family owned and operated. 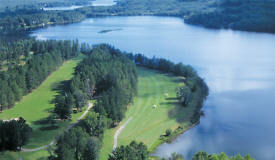 Fourteen (14) rooms with ample parking and air-conditioned rooms. 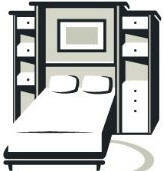 Clean affordable rooms with expanded cable television. Complimentary coffee and cookies. We are A PRIDE OF SUPER 8 property, having earned quarterly Quality Assurance Awards of Excellence for 17 years straight. Experience our charming, country lobby with Native Stone Fireplace, Bentwood Willow furniture and many antiques. It is our Mission at Camp Chicagami to make the joys and lessons of a camp experience available and affordable for all children of Northern Minnesota and to provide a peaceful year-round northwoods setting for adult, youth and special needs groups from across Minnesota and beyond. 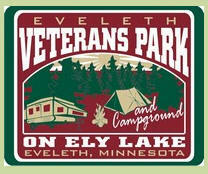 The perfect vacation spot with campground accommodations for both tent and RV camping. Park is secluded and quiet, perfect for reading, relaxation or a peaceful picnic. Additional amenities include: swimming beach, picnic grills, fire pits, horse shoes, volleyball, picnic shelters, soda machine, floating raft and log roll. Serving the Iron Range since 1981, A-1 Services Inc is a provider of rental service for portable storage and party canopies in Eveleth, MN. Our team guarantees satisfaction in every quality service and product that we offer. Let us put our experience and expertise to work for you. 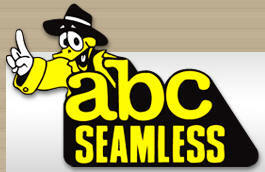 ABC Seamless is the nationally recognized leader for seamless steel siding, seamless gutters, windows, metal roofing, sunrooms, soffit, fascia, log siding, gutter protection and hurricane leaf protector. ACS Advanced Construction Services Inc. provides fantastic Virginia garage door services for all of your needs. Our talented team takes pride in their superior workmanship. Call us today. Full line of 5 and 6 inch seamless gutters, variety of colors, manufactured with quality materials at your site to insure proper installation. Altobelli Peterson Construction is dedicated to providing a variety of exterior home improvement services to Northeastern Minnesota. Arrowhead Plumbing & Heating of Eveleth, MN has been providing HVAC, Heating / AC refrigeration and plumbing services since 1989. Our company only offers quality services at affordable prices. With our experienced team of plumbers and technicians, satisfaction with all of our products and services is guaranteed. 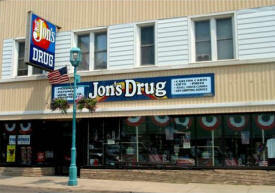 Located in Eveleth Minnesota and serving the entire Iron Range. Blackwood's Concrete has been serving the Iron Range since 2005 providing quality work in many different concrete applications. ChemTreat, Inc. is the nation's largest and fastest growing specialty chemical company dedicated solely to industrial water treatment. We are a leading provider of Real Estate Appraisal and Consulting services in Northeastern Minnesota inclusive of: Commercial, Residential, Seasonal and Recreational Lakeshore and Land, Resort and Small Industrial Properties. Deluxe Catering offers professional and reliable catering services in Eveleth, MN. Having been in the business for 35 years, we can give you the quality of food and service that you deserve. We ensure that you will get the value of your money. Environmental Troubleshooters is an environmental engineering and compliance consulting firm. 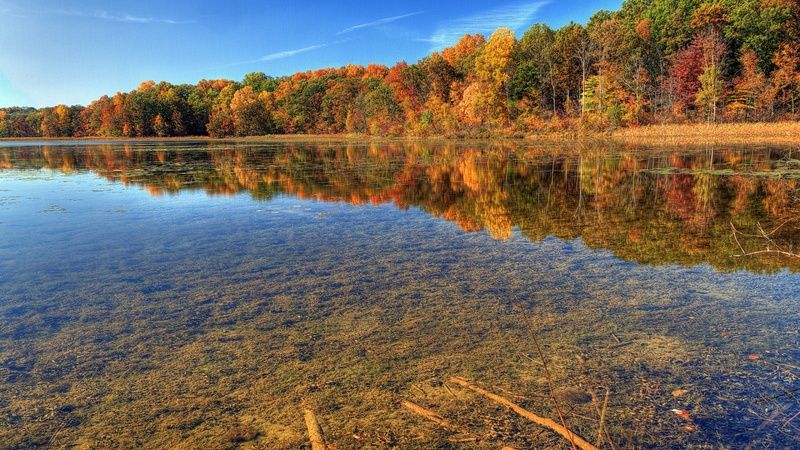 We provide UST removal, geotechnical and hydrogeology services, wetland and site assessment, hygiene sampling, contamination testing, emergency clean-up, cultural resource management and more. 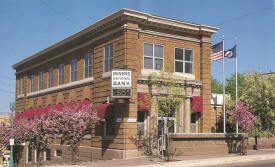 Proudly serving Eveleth and Northeastern Minnesota, since the early 1900's. We offer a complete line of grocery, meat, bakery, and deli products. We are widely known for our specialty meat products such as homemade sausages, pre-seasoned ready to cook roasts and other cuts of meat. 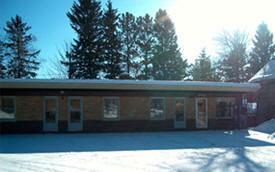 Eveleth Health Services Park Fitzgerald Nursing Home is a community owned & operated, nonprofit facility. Our mission at Fitzgerald Nursing Home is to provide personalized health services to our residents with a focus on quality of life. 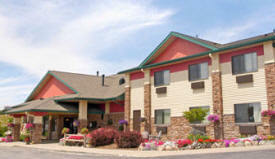 We are a skilled nursing facility (SNF) certified by the Medicare and Medicaid programs. Fitzgerald has a high staff to resident ration which allows us to spend time caring for your loved one. 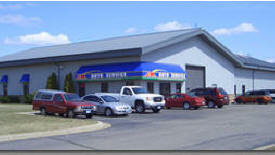 Five Seasons Sports Center has the largest selection of motorcycles, snowmobiles, ATVs, and trailers in northeastern Minnesota. We're also the largest dealer for parts and service provider in the region and one of the highest-certified John Deere service centers in Minnesota. Iron Range Resources is a unique state agency located in Eveleth, Minnesota whose mission is to advance regional growth by stabilizing and enhancing the economy of northeastern Minnesota's Taconite Assistance Area. 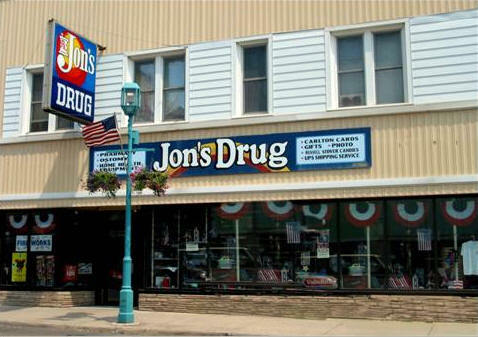 Jon's Drug is a full service pharmacy with a great selection of gifts, cards and souvenirs. Slow-roasted Texas barbecue that's finger lickin' good. Bring your entire family to K & B Café n BBQ and enjoy a truly delicious meal in a casual atmosphere. Whether you want to eat-in, takeout or try our unique drive-in, you'll always experience something fresh and delicious when you visit us. Lundgren Motors, Inc., a Ford Lincoln dealer in Eveleth, Minnesota offers new Ford Lincoln Cars, Trucks, SUVs and Crossovers online at lundgrenford.dealerconnection.com. Find your dream car from our Ford Lincoln showroom of cars, trucks, SUVs and Crossovers or search our new Ford Lincoln inventory to see what is on our lot, get new car pricing and free Ford Lincoln price quotes. View our used car inventory, including our pre-owned Ford Lincoln vehicles. Meyer Teleservices is a national pioneer in the booming teleservices industry. Since 1976, we've had one of the industry's longest records of quality service and marketing success. The Miners National Bank of Eveleth is an independent, family-owned, community bank located in downtown Eveleth. Established in 1903, we are a full service institution specializing in personalized service for all your personal and business needs. To help you keep up with the fast pace of the world today, we offer you access to your account information 24 hours a day 7 days a week through ATM services, internet and telephone banking. Minnesota Power, a division of ALLETE, provides electricity in a 26,000-square-mile electric service territory located in northeastern Minnesota. Minnesota Power supplies retail electric service to 137,000 customers and wholesale electric service to 16 municipalities. Murphy Wallbeds and Custom Furniture easily transforms any room into a guest bedroom with elegant cabinetry and ultimate real mattress sleep comfort. Serving up Eveleth’s best pizza and subs, Poor Gary’s Pizza of Eveleth is a locally owned and operated business with over 35 years of experience. All of our delicious dishes are made with the freshest and finest ingredients and are prepared fresh for you. Dine in or take out, doesn’t matter where you eat it, as long as you experience the best pizza in town! Rels is the single solution to the lending equation. If you are a lender, our product and services will multiply your loan productivity, streamline your lending process and build a base of statisfied borrowers. We have seating for 90 - 100 persons. Parking space is free and ample. We serve lunch and dinner daily, and our delicious Prime Rib is served on Friday and Saturday nights only. Our chef prepares specialty diets to entice the whole family. We have kids’ menu available. Call us for reservations. High-quality senior living services for Eveleth - including: assisted living, short-term rehababilitation, long-term care, inpatient and outpatient therapy, and skilled services – from the tradition of compassion. We also offer baratric care and hospice services. We take pride in providing a focused selection of mattresses and home furnishings that understand the way you really live. Good-looking furniture that's easy to love, easy to maintain and, best of all, easy on the pocketbook. Slumberland Furniture. The way you live. The way you save. Get started with a fast, convenient and affordable workout every time - at Snap Fitness in Eveleth, MN. Minutes from your home and packed with the industry's best cardio and exercise equipment, our gym gives you more for your money. Enjoy a better experience, achieve better results. Snickers Pizza Shop is a full service bar and pizza restaurant in Eveleth, MN that offers pizzas, submarine sandwiches, burgers, and more all available for eat in, dine in, and take out. Here at Snickers Pizza Shop, we also serve chicken and shrimp recipes, and we offer quick and courteous delivery services to homes as well as to area hotels in Eveleth, Gilbert, and the Virginia areas. Spectrum Health Company is the name to know and trust when it comes to health care assistance. We provide health and personal care services for people of all ages in all types of residential settings. Taconite Aviation Inc provides aviation services in Eveleth, MN. Our company specializes in different aviation services from flights to flight lessons. We do quality work, ensuring our customers are safe during their private flights. Our people are experienced in handling all your flight needs. Also operating sea plane based out of Eveleth and Ely Lakes. Timbers Edge Grill & Bar is serving up a delicious variety of food in Eveleth, MN. Come enjoy the relaxed atmosphere of our restaurant or grab something for takeout. Full meals and senior menus are available.